Wild South hikes are normally held the first and last Saturday of the month. 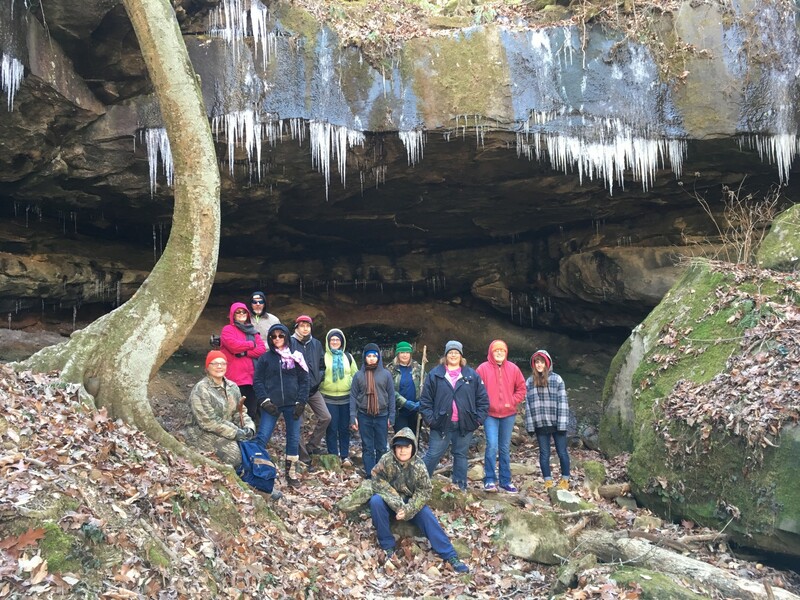 This month, because of our Winter Warmer Weekend January 27 – 28, we are leading hikes on Saturday, January 21. Keep reading, pick a hike and sign up! Choose from two hikes on January 21! For both hikes, meet at the Warrior Mountains Trading Company at 9:00 a.m. Be sure to read “For Both Hikes” at the bottom of this post. Sign up at janice@wildsouth.org or 256-974-6166. Advance sign-up is required in order to limit group sizes. This hike is full. Contact us to get on the waiting list. Key Mill Branch is located in the northeast portion of the Bankhead National Forest in the Brushy Creek watershed. Tim Davis will lead the group in on the Owl Creek horse trail a short distance before leaving the trail and descending into the canyon. The branch was the site of an operating mill till 1953, and some of the remains of the water wheel mechanism can still be seen there. In 2007, a helicopter crashed on the ridge above the branch. During times of normal winter rainfall, there are close to a dozen waterfalls. 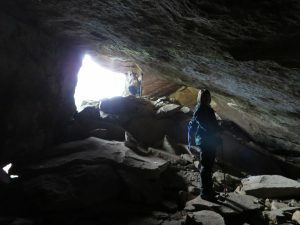 There is a very large and unique sandstone bluff shelter and beautiful views. The hike is mostly off-trail. Be prepared with boots with ankle support and good soles. There will be boulders, rocks that can roll an ankle and tripping hazards hidden in the leaf litter. The climb down into the canyon is steep and can be strenuous. There will be some narrow, shallow creek crossings. Tim Davis is a Wild South Volunteer Wilderness Ranger and volunteer hike leader. 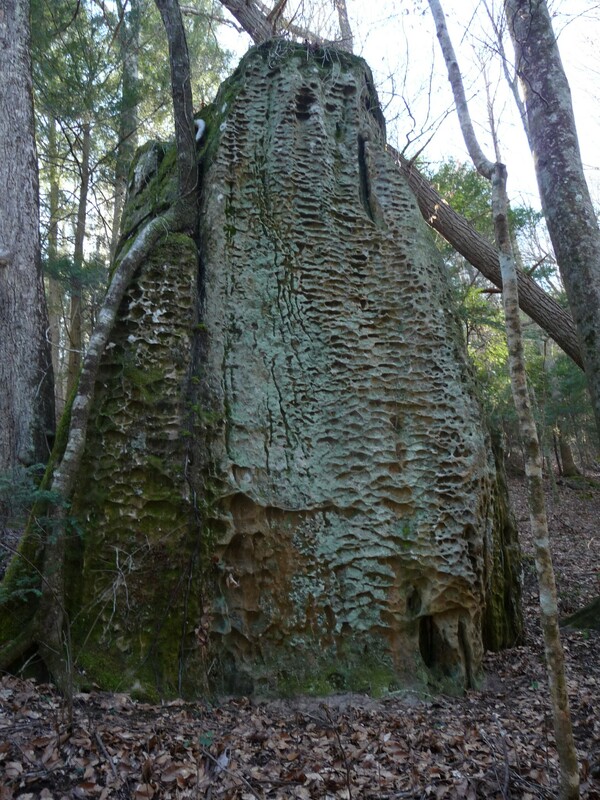 Located on the western side of the Sipsey Wilderness, the Thompson Creek Trail (#206) offers stunning wilderness scenery including the destination of Ship Rock and Eye of the Needle. The Eye of the Needle is an opening that was created in the rock formation during an earthquake in the 1920’s. 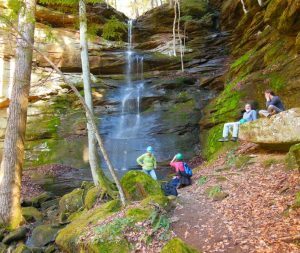 The hike route closely follows Thompson Creek, one of the headwater streams that form the Sipsey Fork, through cove hardwood forest that is lush even in the middle of winter with Eastern hemlocks, pines, mosses, ferns and holly trees. Facinating sandstone formations and Auburn Falls are points of interest. Be prepared to hike for 5 miles on varied terrain with minor stream crossings, brief stretches of steep climbing, some elevation change, rough, rocky trail that will be wet and muddy if it rains and icy if it freezes. Scott Michael is a Wild South Helping Hands volunteer, Volunteer Wilderness Ranger and volunteer hike leader. Bring a backpack with lunch, snacks, drinking water. These are extraordinarily scenic areas, so you’ll want your camera! A walking stick may help with creek crossings and the uneven, rugged terrain. Dress for the weather, in layers. Bring rain gear if rain is forecast. Keep an eye on the forecast. We do not always cancel a hike because of rain, so be prepared! After signing up, meet at the Warrior Mountains Trading Company at 11312 AL Hwy. 33, Moulton, AL at 9:00 a.m. Park on the south end of the building and come into the store. Meet your leaders at the tables toward the back of the store at 9:00. Wild South hikes are free of charge because we want people to get out there and get to know their forest! However, there will be a donation bucket on the picnic table. All hiker donations directly support our hikes and education program. Thank you for your support!